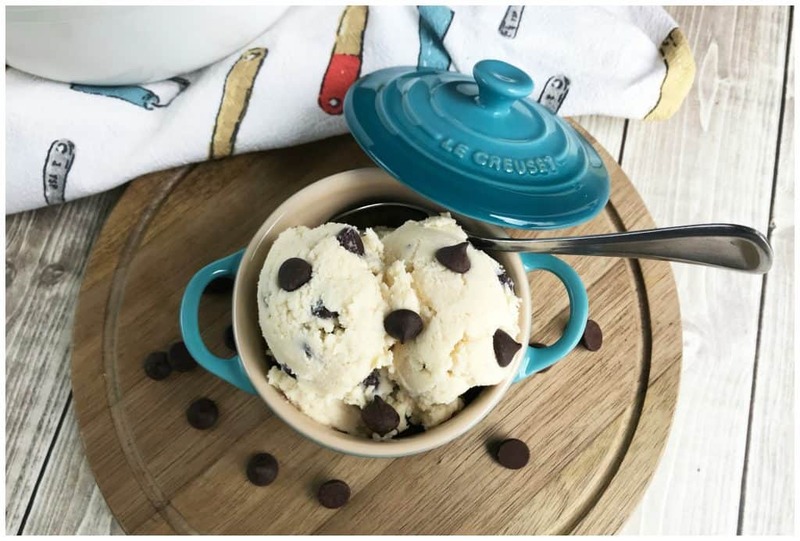 If you are looking to kick a sweet craving, this Keto Edible Chocolate Chip Cookie Dough is a perfect snack for one. Sometimes, the hardest thing about starting a new lifestyle plan is the feeling of being overwhelmed. There are so many opinions on what diet plan is best, but really — it depends on the individual person. If you are interested in the Keto Diet, or Ketogenic Diet then there are so many great recipes that can help you stick to your diet but still beat your cravings. A Ketogenic Fat Bomb help give you a big boost of some of your favorite flavors. 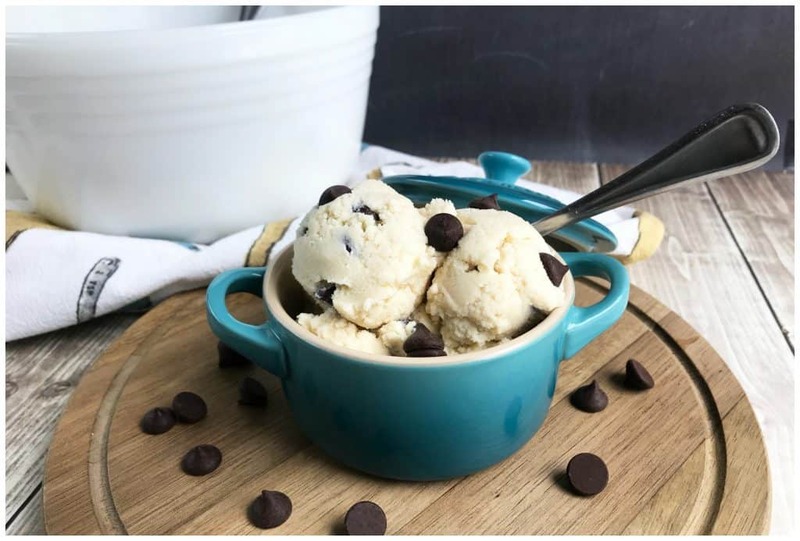 This Keto Edible Cookie Dough is a delicious fat bomb that helps you with your sweet cravings. 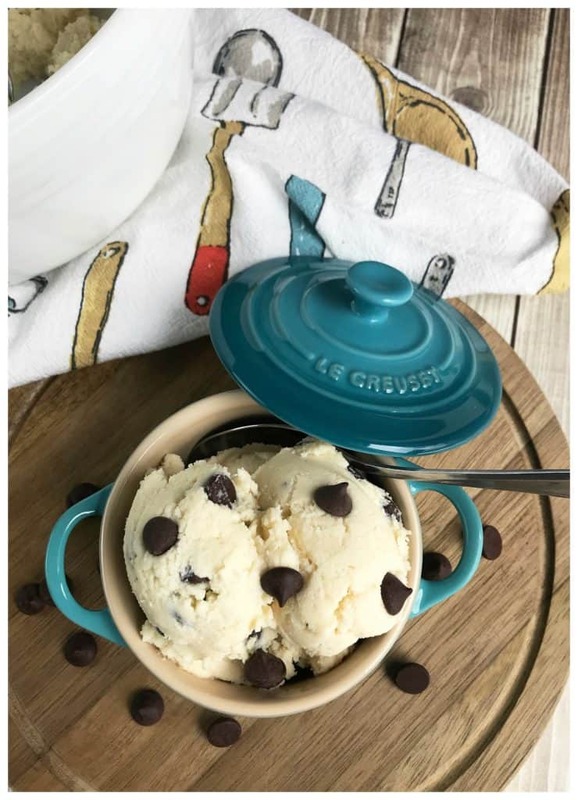 How awesome that you can stick to your Keto diet but still have cookie dough! 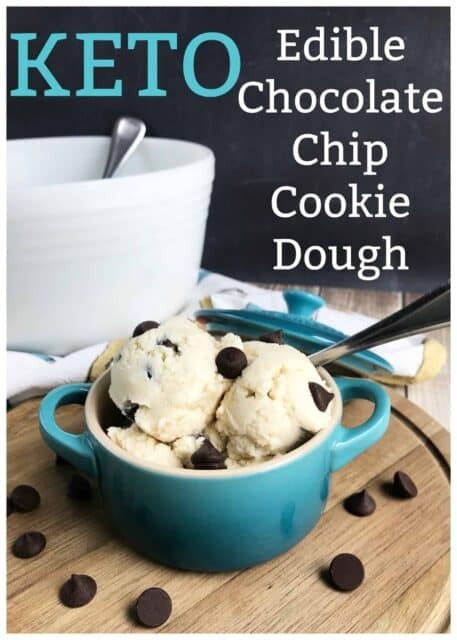 I don’t know about you, but Chocolate Chip Cookie dough is one of my weaknesses so finding a Keto recipe for this makes me very happy! 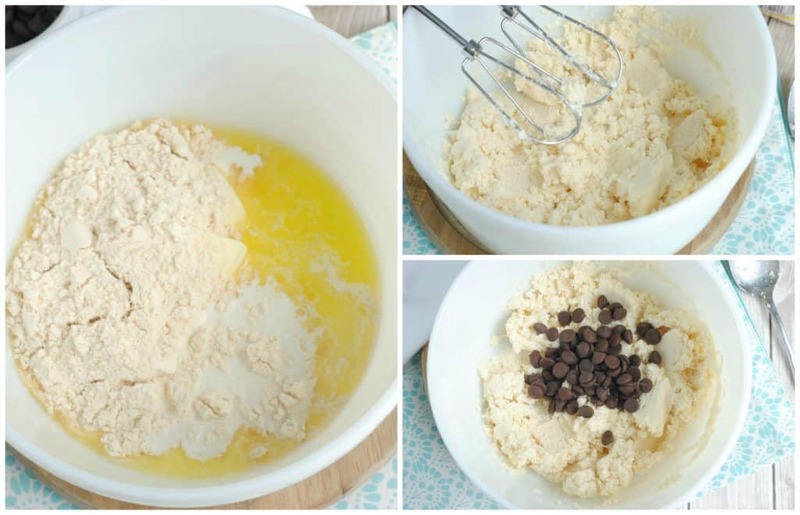 This keto edible cookie dough low carb recipe is perfect for anyone on a low carb diet. 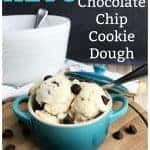 If you are looking for a low carb fat bomb, you'll love this Keto Edible Chocolate Chip Cookie Dough. This is a perfect Keto dessert for one or two people.